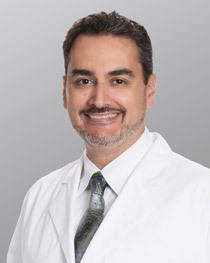 Dr. Fazio is a board certified optometrist and the Medical Director of Optometry at Newsom Eye. Dr. Fazio manages Newsom Eye’s accredited one year Residency Program with Salus University, Elkins Park, PA, which is one of only a few in the country. This highly competitive additional year of training, after graduating from optometry school, prepares new doctors for management of ocular diseases and surgery. Dr. Fazio is proud to serve as an adjunct professor to a program ranked as one of the best in the nation. Newsom Eye’s clinical Internship Program with emphasis on pre-operative and post-operative cataract and LASIK care is also overseen by Dr. Fazio. This internship educates fourth year students in finishing their training to become optometrists. Clinically, Dr. Fazio specializes in comprehensive eye exams and ocular diseases such as diabetes, glaucoma, specialty dry eye conditions and treatments, advanced contact lens fittings, and manages patients with keratoconus. In addition, Dr. Fazio treats patients for pre-operative and post-operative cataract and LASIK care. With more than twenty-five years of experience, Dr. Fazio has managed well over 50,000 surgical cases of all types. Dr. Fazio and his lovely wife, Tina, have five children. He enjoys outdoor activities, sports, traveling, playing the piano and painting. Dr. Fazio speaks English, Italian, French, and Spanish. Sub-Investigator for the Light Adjustable Lens, Calhoun Vision, Inc.